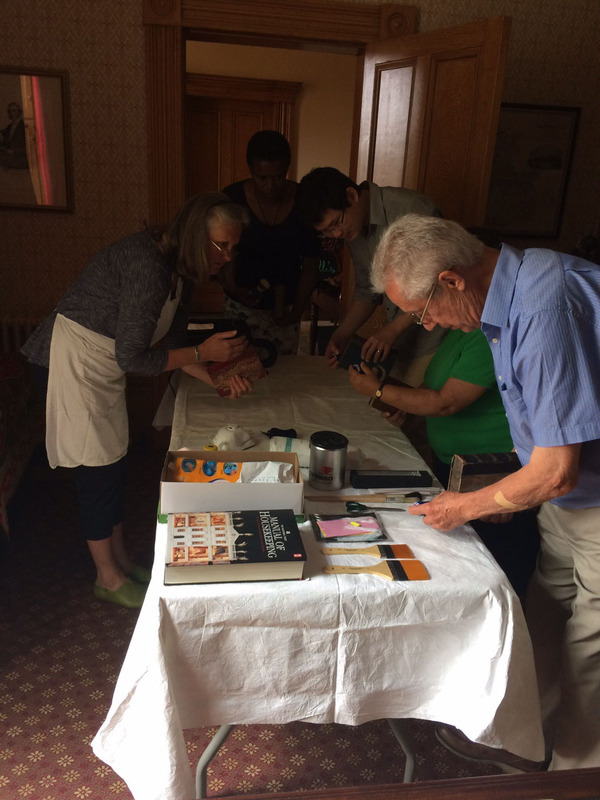 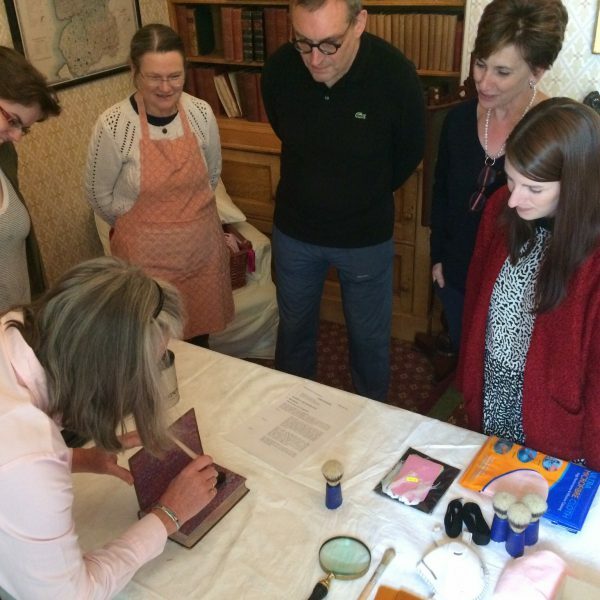 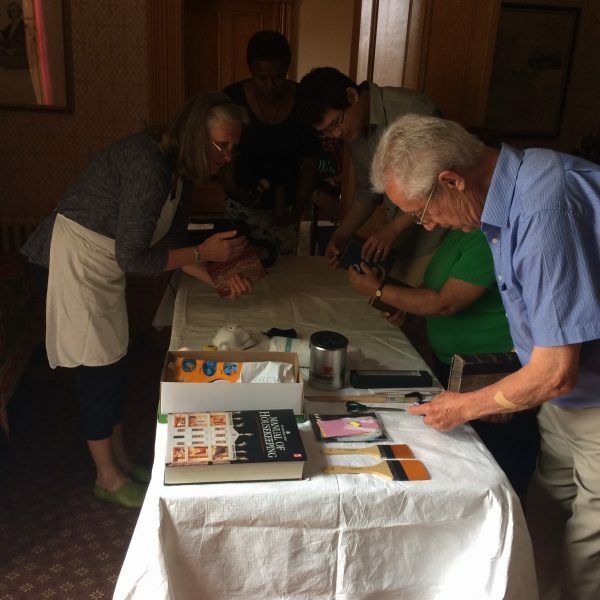 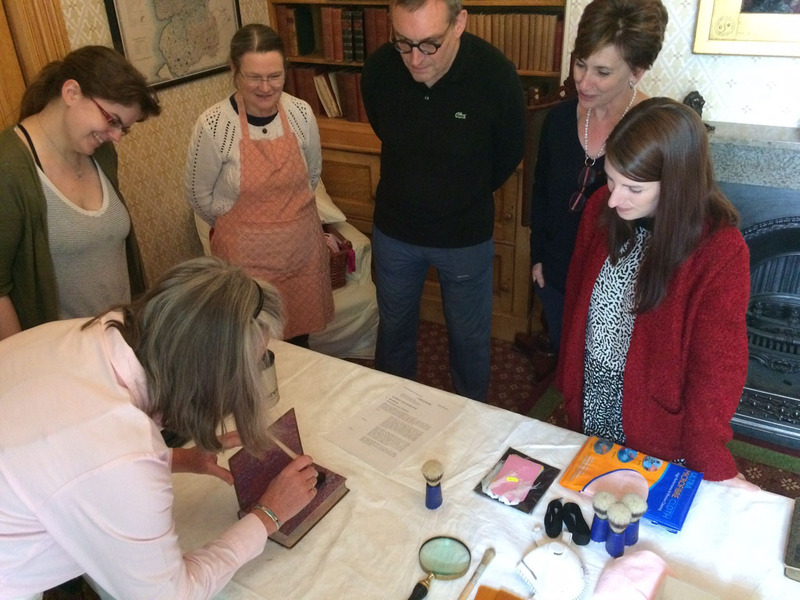 Following a training session on conservation book cleaning with Professional Conservation Cleaner Nettie Cook, a team of 11 volunteers have worked very hard over the summer to clean all the books in William Gaskell’s Study, the Drawing Room and the Dining Room at Elizabeth Gaskell’s House. 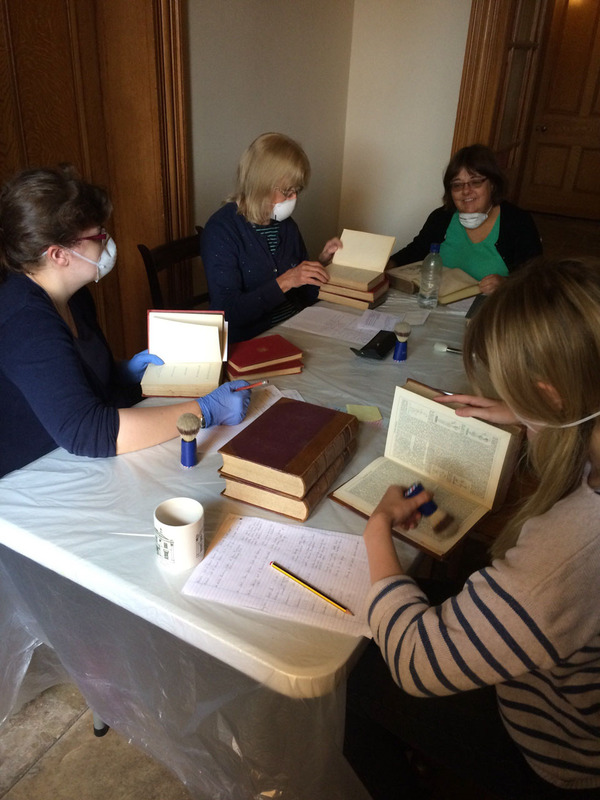 The books were cleaned and their condition noted, a mammoth task that has taken the volunteers around 90 hours to complete during July and August. 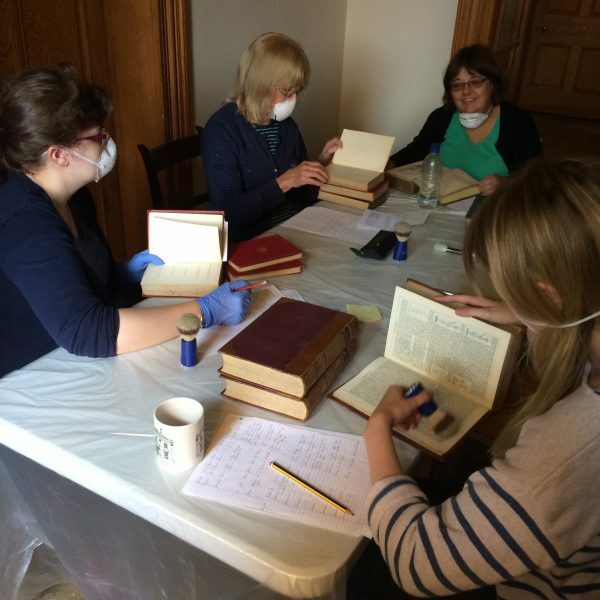 Rather aptly the last book they cleaned was the ‘Complete Works of Shakespeare’.